The mission of our Product Service and Support team is to "Build and Preserve Customer Loyalty". To that end, our Technical Support and Professional Services Staff are experienced industry veterans with relevant industry and Cirrascale product certifications. Cirrascale offers a range of support options to help our customers receive the service that best suits their particular needs. If you have questions, please contact one of our account representatives for more information. Cirrascale Support offers Worldwide Warranty Services on all Cirrascale products. Our offerings are designed to address the wide range of needs presented by Self-Maintainers who require little to no diagnostic and repair assistance, all the way through Enterprise Data centers with demanding uptime, reporting, and onsite support requirements. With degrees of separation between offerings and the ability to tailor deliverables to a customer's specific needs (even at the site level), we are confident that whatever your Service and Support requirements may be, we have the capability and capacity to deliver. If you need to reach us regarding a service or support issue, several options are available to you. Your options include calling (888) 783-7274 and logging a support call, filling out our online support form below, or emailing us at support@cirrascale.com. We're standing by to help assist you. Cirrascale appreciates your business. Please fill out our online support form below for specific questions and support assistance or call us. We strive to respond to all requests as soon as possible, but if you require immediate assistance we recommend contacting us via phone to reach one of our support agents. Please call (888) 783-7274 to be assisted quickly. We're glad to serve you! Internet: Use our Online Support Form on the previous tab. Provide the site name, address and telephone number, and the site contact name. Also provide a brief description of the problem, the model and serial number(s) of the affected equipment, and a brief description of the diagnosis by your personnel. Regardless of the method used to log the incident, a Technical Support representative will make contact either within one hour or in accordance with your service level agreement. Technical Support will assist with additional diagnostics as required, issue a RMA, and/or coordinate the dispatch of parts and/or on-site Service Technicians as required. Minimum frequency for updates on open service requests from Technical Support to your designated contact (for the incident in question) is daily, with increasing frequency as requested or required to progress problem resolution. Please note that your RMA# must be present as indicated in the above address! Cirrascale Corporation (“Cirrascale”) warrantees all of its’ branded products for one (1) year to be free of workmanship and materials defects. Within the one (1) year warranty period, Cirrascale will remedy any defect in workmanship or materials. See Section 8 of Sales Terms and Conditions for further Warranty details. Within its’ branded products, Cirrascale utilizes electronic components manufactured by Original Equipment Manufacturers (OEM’s) such as Central Processing Units (CPU’s), Motherboards, Memory and Hard Drives (“OEM Components”). Such OEM Components are covered by warrantees extended by the OEM manufacturers (“Manufacturers’ Warrantees”). These Manufacturers’ Warrantees on OEM Components pass through to the end-user customer. For each branded product sold to an end-user customer, Cirrascale requires that the customer select and purchase one of the below Warranty Service Level Programs. This provides for clarity of Cirrascale’s level of service to respond to possible defects in workmanship, materials or OEM Components. The following Warranty Programs are available worldwide. For pricing information or additional details, please contact your designated Account Executive or send an email to sales@cirrascale.com. If you already have a Warranty Program and have questions about deliverables and/or period of coverage, please contact support@cirrascale.com. This level of service is designed for Enterprise or Mission Critical Environments where a rapid response to outages onsite, or offsite, is required to ensure minimum downtime. Please note that an onsite spares kit is a pre-requisite to establishing Gold Warranty Coverage. 1, 2, or 3 year Advanced Parts Exchange Warranty with 4-Hour onsite support response 24/7. The warranty covers: failure diagnosis and replacement of factory parts and labor. Technical Support will respond 24x7 within one (1) hour of the Service Request being logged. This is measured, monitored and guaranteed. The hours of coverage for onsite services are 24 hours, 7 days a week, and 365 days a year. The Warranty is valid from the date of invoice. Items outside Warranty Coverage will be presented to the customer as billable along with a time and materials quote prior to repairs being executed. This level of service is designed for Production Environments where capacity allows for next business day onsite responses to server failures. 1, 2, or 3 year Advanced Parts Exchange Warranty with Next Business Day onsite response. Technical Support available during North American business hours (8 AM to 8 PM Eastern Time, M-F). 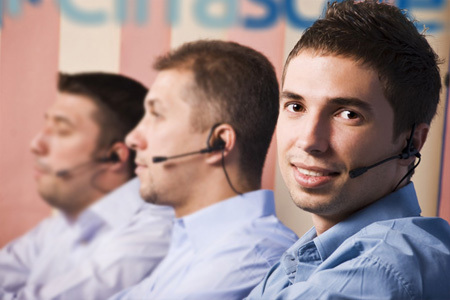 Technical Support will respond within a one (1) hour telephone response to the customer call. The hours of coverage for onsite services are Next Business Day from 8:00 AM to 5:00 PM site time. Incidents can be reported via Email or Telephone. Warranty is valid from the date of invoice. This warranty does NOT cover the shipment of full systems. This level of service is designed for computing environments where capacity and in-house repair skills allow for next business day parts responses to server failures (self-service). 1, 2, or 3 year Advanced Parts Exchange Warranty (RMA only - no onsite service). The warranty covers: failure diagnosis and replacement of factory parts and depot repair labor, if necessary. Help Desk support hours are 8:00 AM to 8:00 PM Eastern Time (Monday through Friday except holidays). Replacement Parts will be shipped same business day (next business day if after 3pm ET) upon diagnosis of failure and issuance of an RMA number. Customer is responsible to insure that the replaced, defective components are returned to Cirrascale within fifteen (15) business days or customer may be subject to invoicing for full cost of component, plus handling charges. Cirrascale pays shipping both ways in North America. Cirrascale Pays Shipping one way International. This level of service is designed for self-service environments requiring parts exchange and limited technical support only. For Depot Repair of product (full systems), customers pay shipping both ways (RMA number required). For shipment of replacement parts, a RMA number is required and will be provided by Technical Support following failure diagnosis. Cirrascale pays shipping one way for replacement parts only. Depot Repair turn-around time is 5 days, not including shipping time (RMA required). Replacement Parts ship Next Business Day upon receipt of failed parts (RMA required). ©2017. All Rights Reserved. Cirrascale Corporation.